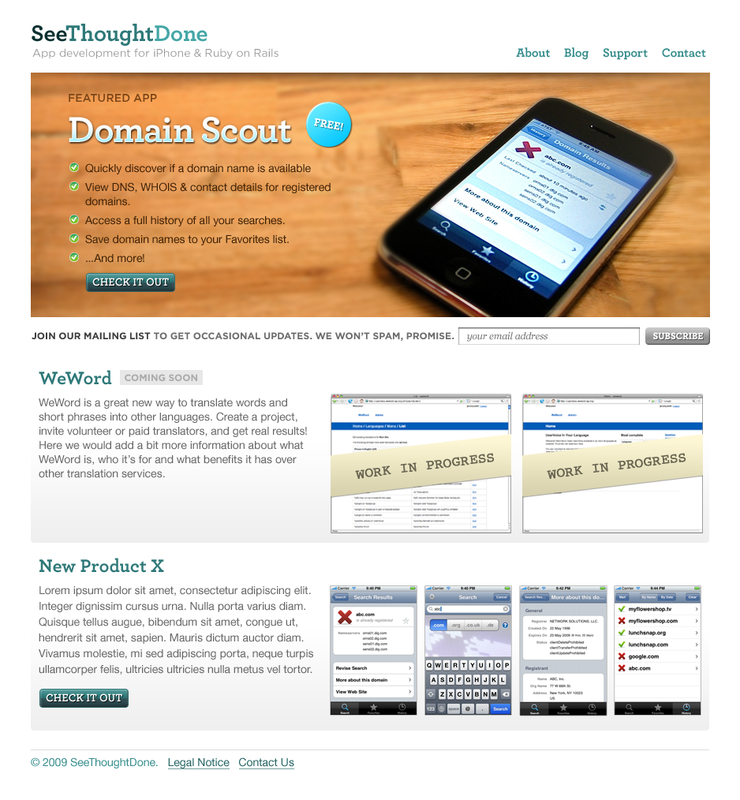 Design for software development joint SeeThoughtDone. Jared: Pulled visual design duty and handed off comps for development. 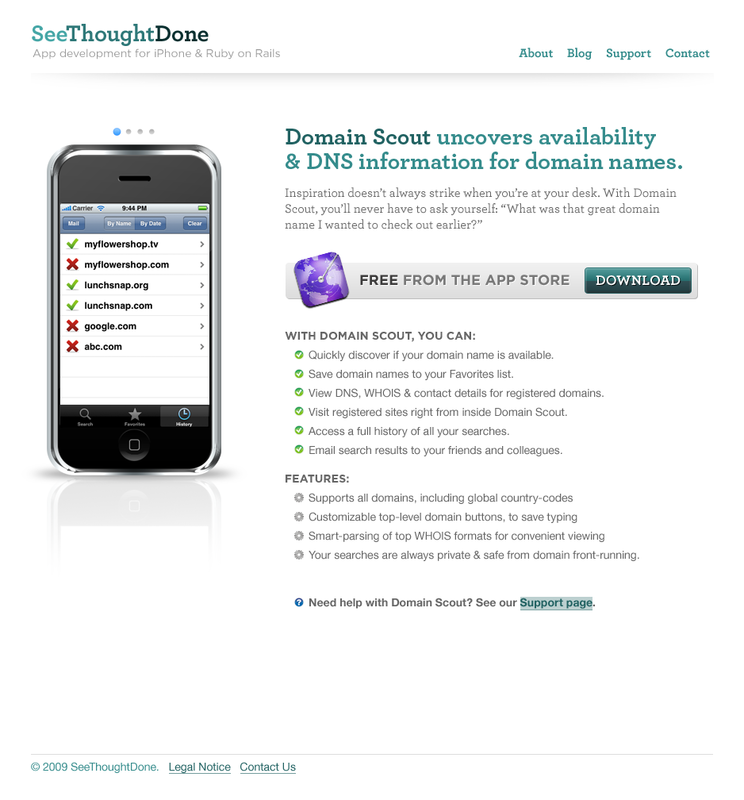 Jeremy Wohl is an iPhone and Ruby on Rails developer who needed a fresh site design to showcase his current iPhone app, Domain Scout and promote works in progress. I downloaded Jeremy’s app & had a little photoshoot with my iPhone to capture the home page header image, which added a nice shot of warm color in an otherwise cool palette. In general, the site was going for a light & airy feeling, and the liberal use of Archer was able to really class up even the sparsest of pages.